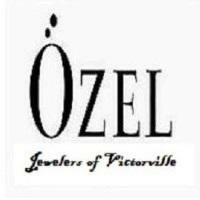 Ozel Jewelers is a neighborhood jewelry store that sells wedding bands, necklaces and earrings made from white and yellow gold, and studded with diamonds and colored gemstones. This family-owned shop has decades of experience in designing and crafting its own ornaments, which it showcases in attractive glass displays. It also offers repair services for engagement rings, bracelets, chains and pendants.